Anderssen became the most successful tournament player in Europe, winning over half the events he entered—including the Baden-Baden 1870 tournament, which is comparable to modern strong GM tournaments. His last success was at Leipzig in 1877 where he came second equal with Zukertort, behind Paulsen. He was then nearly 60. He is still famous for his brilliant sacrificial attacking play, particularly in the 'Immortal Game' (1851) and the 'Evergreen Game' (1852). He was also one of the most likeable of chess masters and became an elder statesman of the game, to whom others turned for advice or arbitration. 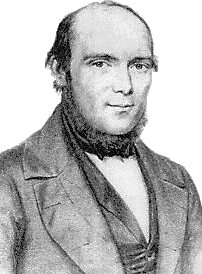 Adolf Anderssen vs Paul Morphy match, Paris 1858, English opening by transposition. Anderssen beats Morphy in a long struggle. Gottschall, Hermann von 1912 (reprint 2006). Adolf Anderssen, der Altmeister deutscher Schachspielkunst. Elibron Classics. ISBN 0-543-77333-7. Bachmann, Ludwig 1914. Schachmeister Anderssen. Anspach. ↑ Hooper, David and Whyld, Kenneth 1992. The Oxford companion to chess 2nd ed, Oxford University Press. ISBN 0-19-280049-3. This page was last changed on 21 November 2018, at 23:41.